very hygienic. 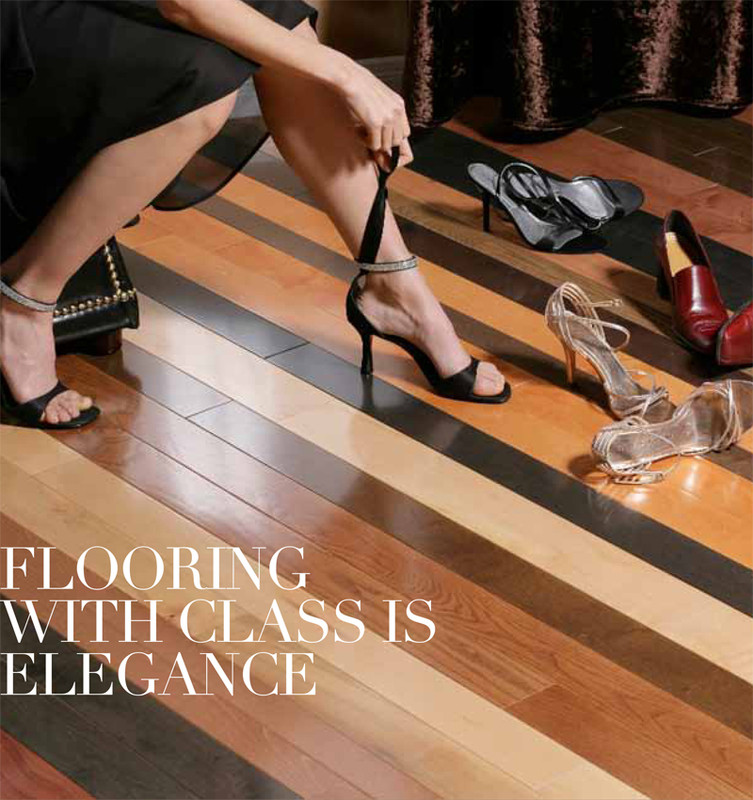 There is no comparison to the easy of maintenance that wood flooring provides. Solid hardwood floors have been used for over a century, and have been the product of choice for homeowners and builders. Solid hardwood is milled from a single board. Can be sanded and finished multiple times throughout their lifetime. Recommended at ground level or above. No toxic volatile organic compounds (VOCs). Engineered hardwood flooring is difficult to distinguish from solid hardwood flooring once it is installed. The top layer is made out of 100% solid hardwood, therefore giving you the same look and feel. Due to its enhancedstability, engineered flooring can also come in wide boards, to give a more contemporary look to your home. Our engineered products are comprised of a Baltic Birth core in a in 9-Ply and 11-Ply composition, making it extremely versatile and giving it dimensional strength. Expressions Engineered products have a 4mm wear layer and are available in 3/4’ and 5/8”. Special 6mm wear layer available for custom order. Optimal performance in all installation scenarios, above or below grade. It can be glued, nailed, stapled, or floated . Can be installed over radiant heat floors. Ideal for condos and basements where there is more temperature variation. Can be installed over concrete with a full warranty.